Dockercon is fast approaching and all the weeks of work have finally started to pay off. I'm now an Official Docker Captain and I've got two speaking slots including one very special technical demo. 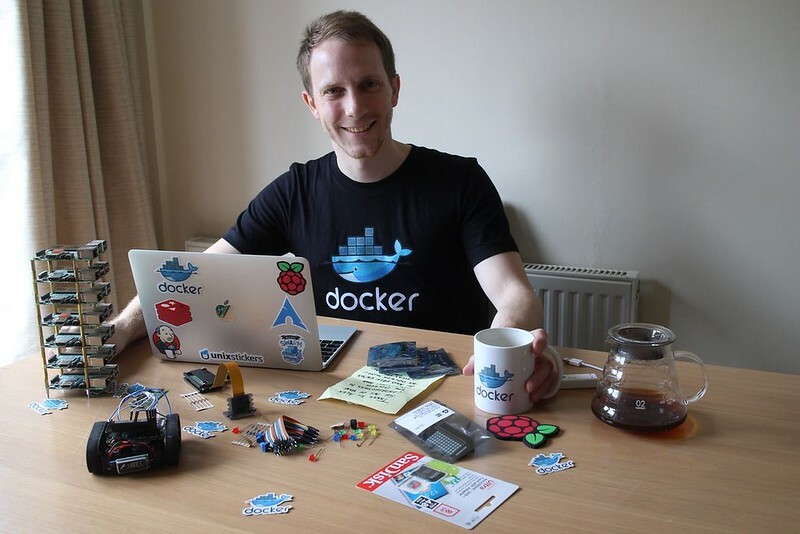 I show off how Docker can meld-together real world sensors with IoT and micro services to create something awesome. In this hack, we secure the data-center through a scaleable network of real-time sensors and microservices running Docker. Each rack in the server-room is filled with thousands of terabytes of priceless customer data, IoT lets us keep one step ahead and keep that data safe. The cluster deploys a set of smart sensors running the Docker Swarm agent to the rack panels. Each sensor constantly samples the ambient temperature of the rack and sends a real-time alarm to the control room when levels rise above normal levels. An anti-tamper motion sensor picks up tiny vibrations and alerts the admins when someone is performing unscheduled maintenance on the equipment. A custom made RGB LED display made by Pimoroni for Dockercon shows the status of up to 8 racks in real-time. Head over to the Github page for some sneak preview videos and all the source code. During this interactive session, members of the Docker Captain program will discuss their Docker journey along with how they became industry-recognized Docker experts. Alex, Laura and Nirmal will share their experiences as Docker Captains and provide recommendations on how to become more involved with your local community. I'm looking forward to meeting the Docker team, the other Captains and hearing all the great new announcements. I'm in Seattle already - kit for the demo has survived transit. Learn Docker Swarm Mode - scale in 5 minutes!